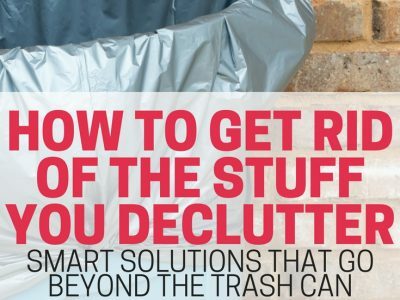 As you’re working on decluttering your home, you might be wondering what to do with your decluttered items. Sometimes the sheer volume of the things you’re getting rid of can be overwhelming. And, there are probably a lot of items you’re hesitant to throw into the trash. 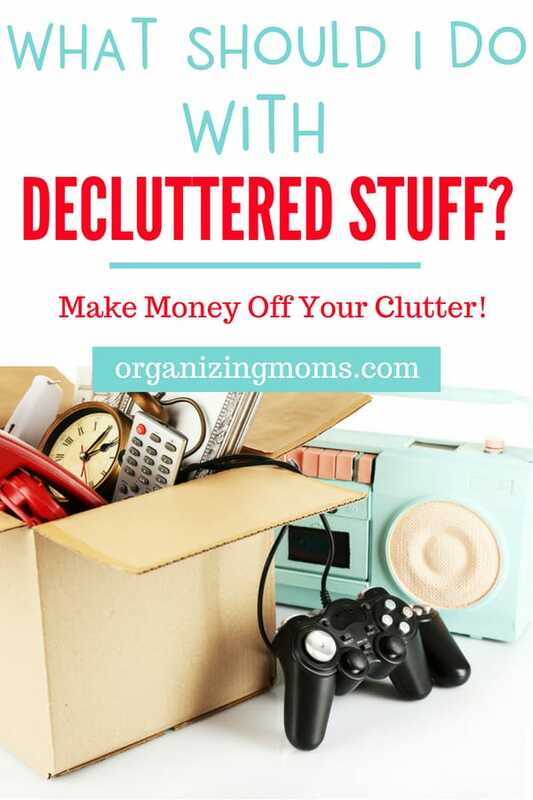 What Should I Do With My Decluttered Items? 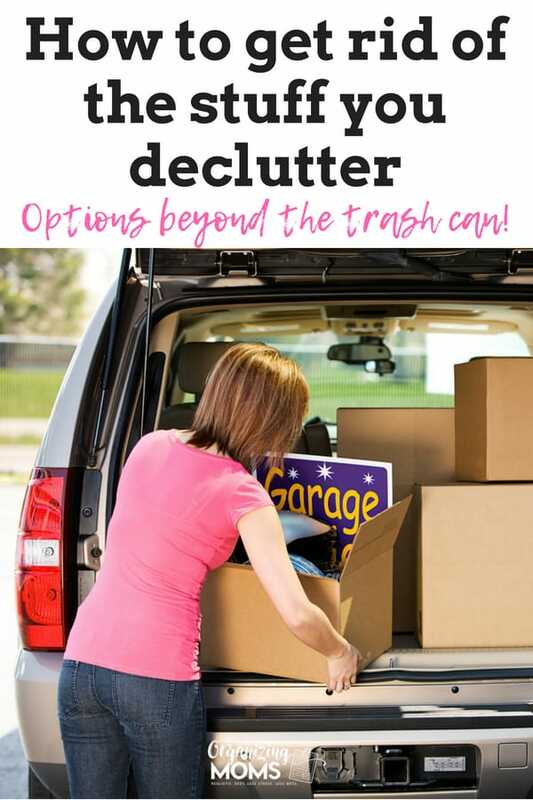 While it’s a good idea to get your decluttered items out of your house as soon as possible, sometimes it’s worth it to look into responsible ways to dispose of clutter. It might even be profitable for you! Call your local waste management company. Find out what can be recycled in your community, and how you can recycle your stuff. They might be able to steer you to other local resources for donating, recycling, or repurposing your decluttered items. Donate, donate, donate – Don’t get too caught up in trying to find the perfect organization to donate to. Your objective is to get the clutter out of your house, not save the world. I recommend donating to places that make donating items easy! Come up with a list of 2-3 places where you can donate your items locally, and make donation drop-offs part of your regular errand runs. Donating is the easiest, best way to get rid of decluttered items quickly. Give items away to your friends – Have an extra blender you’re not using? Send out a mass text or email to your local friends, and see if anyone wants it. I’ve had the most success doing this with hand-me-down clothes and kitchen items. Earth911 – Tons of super-helpful information on recycling. This is a good resource to use when making purchasing decisions too. ThredUp – Send them your old clothes, and you could earn cash for them. Read their accepted items list carefully before sending anything. Have low expectations, and hopefully you’ll be pleasantly surprised. Everything they don’t accept will be donated, unless you want to pay $14.99 for them to send your clutter back to you. Gazelle – Get paid for your decluttered technology. Enter descriptions of your old phones, computers, etc. into their website, and they’ll tell you how much they’ll pay you for the items. Make sure to follow their instructions carefully. A good resource for getting rid of old technology responsibly! SellBackBooks – Earn cash for your decluttered books. Sell your stuff on Amazon. It’s super easy. I like to search for items I want to sell, and then look for a little button on the right-hand side of the screen that says “Sell on Amazon.” If the button is there, there’s demand for that item. 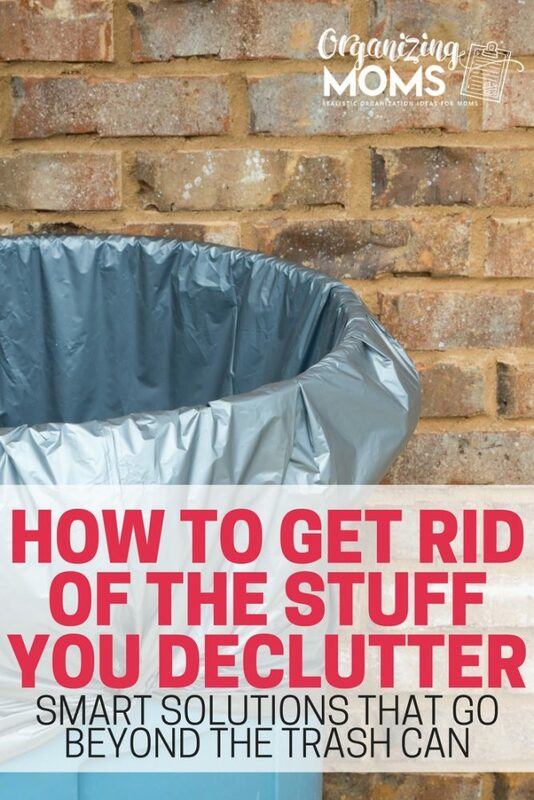 If not, it might be better for you to try to get rid of the item elsewhere. Freecycle – You can post items that you’d like to give away, and if someone wants it, they respond to your post. I usually put my items out on the front porch for the person to pick up, or I drop it off where they work if I feel like that would be safer. We’ve used Freecycle to get rid of moving boxes, prom shoes, packaging for shipping, old mops and brooms, and many other things. I like Freecycle, because I know that the person taking the items really wants it. Buy Nothing Project – A collection of local Facebook groups. Operates similarly to Freecycle in that people post items they’d like to get rid of. I was in a local group last year, and I felt like it was more clique-y than Freecycle, so I stopped participating. Another group recently started up in my community, so I have high hopes that it will be a better fit. You mileage may vary, depending on your community, tolerance for drama, and the administrators of your group. Have a Garage Sale – Price your items to sell, and at the end of the day, pack up your stuff and donate it. You’ll make a little money, and you’ll be done with the clutter. Going through a garage sale day is often good motivation for keeping future clutter out of your home! Sell Your Items at a Resale – We did this with our baby and kids items, and it ended up being fairly profitable! Recycle Your Plastic Film – Apparently, you can recycle all kinds of plastic film at local drop-off locations. Grocery stores often have a plastic bag recycling bin at the entrance where you can drop of your used plastic bags. I haven’t done my research on this one to see if the plastic actually gets recycled, but I suppose it can’t hurt to give it a try. Large Items? 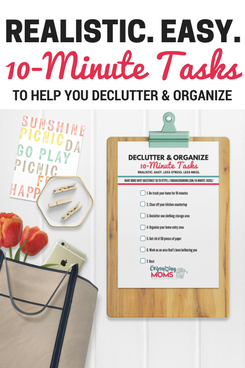 Check out this resource on decluttering larger items.